The first trailer was released for the upcoming the biopic Bigger starring Tyler Hoechlin and Julianne Hough on Tuesday. 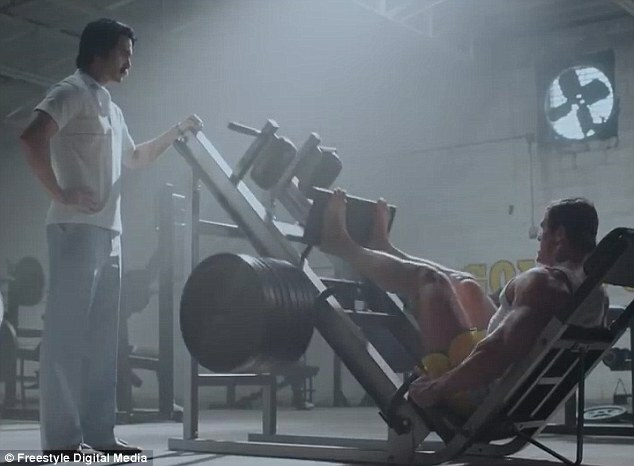 The movie tells the story of the two men –Joe and Ben Weider — who have been dubbed the ‘architects of muscle’, and credited with discovering Arnold Schwarzennegger. 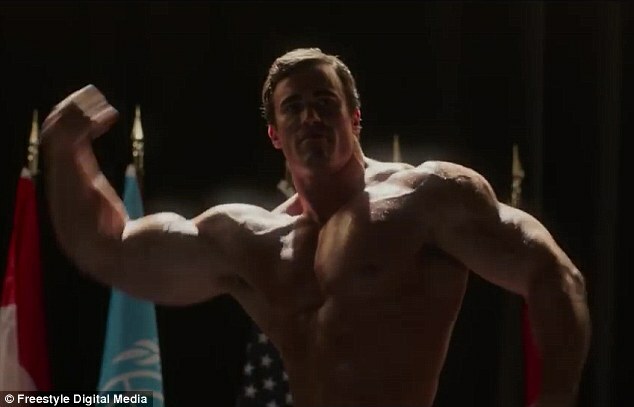 ‘Hello Arnold my name is Joe Weider, how would you like to be the face of bodybuilding?’ Hoechlin’s character says in the opening of video. During the inspirational tale, the so-called grandfathers of bodybuilding face everything from anti-Semitism to extreme poverty, but through it all they beat the odds and build an empire that helped shaped and inspire the exercise revolution. Hough plays Joe’s pinup model wife Betty Weider, who’s no pushover. ‘You do create strong competitors Mr. Hauk. But to create an impeccable man?’ Hough’s platimnum character boldly pronounces in a scene. 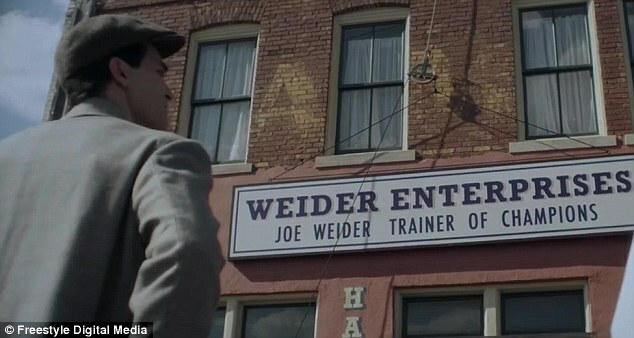 Joe Weiden went on to launch the Mr. Olympia, the Ms. Olympia and the Masters Olympia bodybuilding contests. Betty Weider become a fitness icon in her own right through her bodybuilding career, and by publishing fitness books and magazines like Muscle and Fitness and Shape with her husband. Hough knows a little something about exercise herself. The 30-year old dancer is best known for being a two-time champion of ABC’s Dancing with the Stars. She transitioned to acting and landed her first leading role in the film remake of Footloose in 2011. Bigger also stars Aneurin Barnard, Victoria Justice, Colton Haynes, Max Martini, Tom Arnold, Steve Guttenberg, Calum Von Moger and DJ Qualls. It hits theaters in a limited release October 12.